Teachers tell aspiring authors “Write what you know.” Dalan McEndree took that advice to heart. The author is familiar with Russia no question. That his knowledge of that terrain assures him an audience for his thriller Kormushka is not as certain. McEndree’s novel is set in post-glasnost post-perestroika Russia a country reacting to decades of oppression by indulging in wild west capitalism lubricated by corruption and thoroughly infected by gruppirovka—criminal gangs. Ironically neither glasnost (“public openness”) nor perestroika (“economic reform”) appear in the four-and-a-half page glossary of Russian terms but don’t doubt that the author is familiar with the nation that arose from the rubble of the USSR. McEndree has spent fourteen years in Russia over four decades speaks the language fluently and has worked in government and business. The book is a complex mystery/thriller told from the perspective of an ex-pat American who made his fortune in the early years of perestroika and then “got out of Dodge” before the pre-millennium economic collapse. Nick White the protagonist finds himself reluctantly returning to Moscow at the behest of a friend’s Russian widow. The grieving spouse suspects her husband was murdered although the authorities (no doubt the paid lackeys of corrupt corporate moguls) are eager to write off the death as accidental. 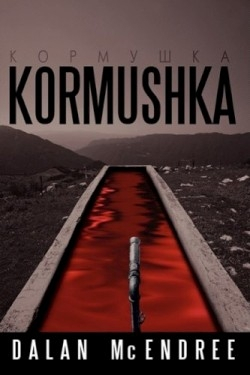 Kormushka—the title means “trough” as in hog trough a negative connotation for a source of income—is filled with Russian terms and countless pithy and intelligent observations about post-USSR life but that may be the root of its fundamental flaw. McEndree knows too much whereof he speaks. He knows all the colors that make an ex-pat’s life interesting and he refers to them in an off-hand manner. Kormushka would be better if the author had indulged his readers. For example the historic cities of Moscow and St. Petersburg are sketched out prosaically: “I started the car and turned onto Tverskaya and drove in the direction of the Kremlin. It was time to focus on maneuvering through Moscow’s clogged center to Vera’s apartment; sorting through the contradictions could wait until I got back to London.” Kormushka is so laden with this sort of highly informed but thoroughly mundane detail that readers will find themselves begging for more details about people smells sights and sounds that give a place atmosphere. As for characters like the dead friend’s wife Vera most of the people are two-dimensional and almost faceless in the mind’s eye. Despite the single-minded narration and the need for a deeper exploration of scene and character the mystery does carry readers to the conclusion. Unfortunately Kormushka ends too quickly and conveniently and with the smoking gun in the hand of a villain who seemed only a minor player in Kormushka’s fascinating game.